Pycnogenol is a natural extract originating from the bark of the maritime pine tree that grows along the coast of southwestern France. Pycnogenol contains a unique combination of procyanidins, bioflavonoids and phenolic acids, which offer an extensive range of support for the body. 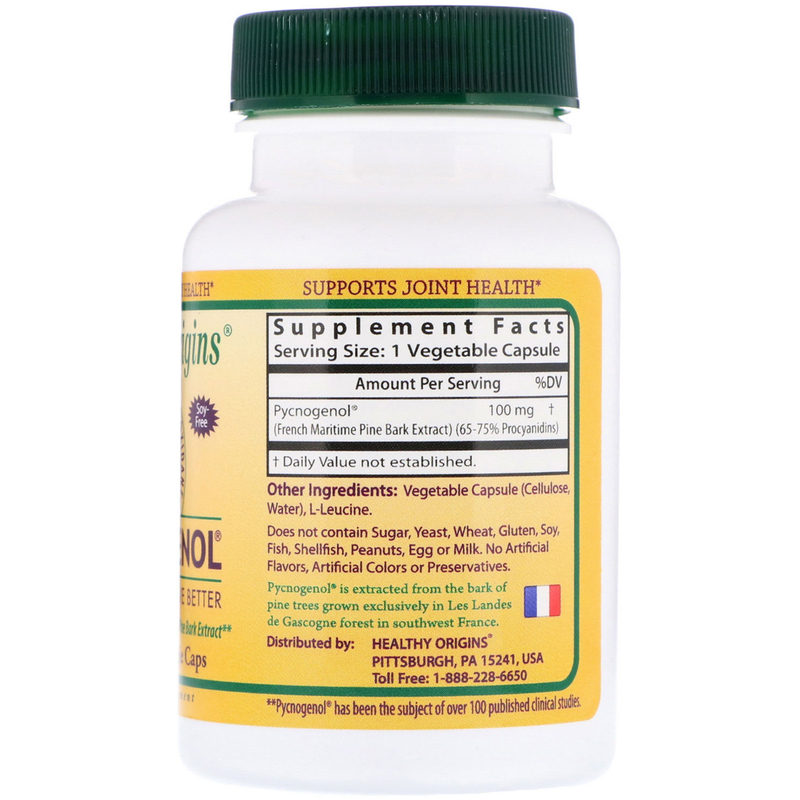 Pycnogenol is extracted from the bark of pine trees grown exclusively in Les Landes de Gascogne forest in southwest France. 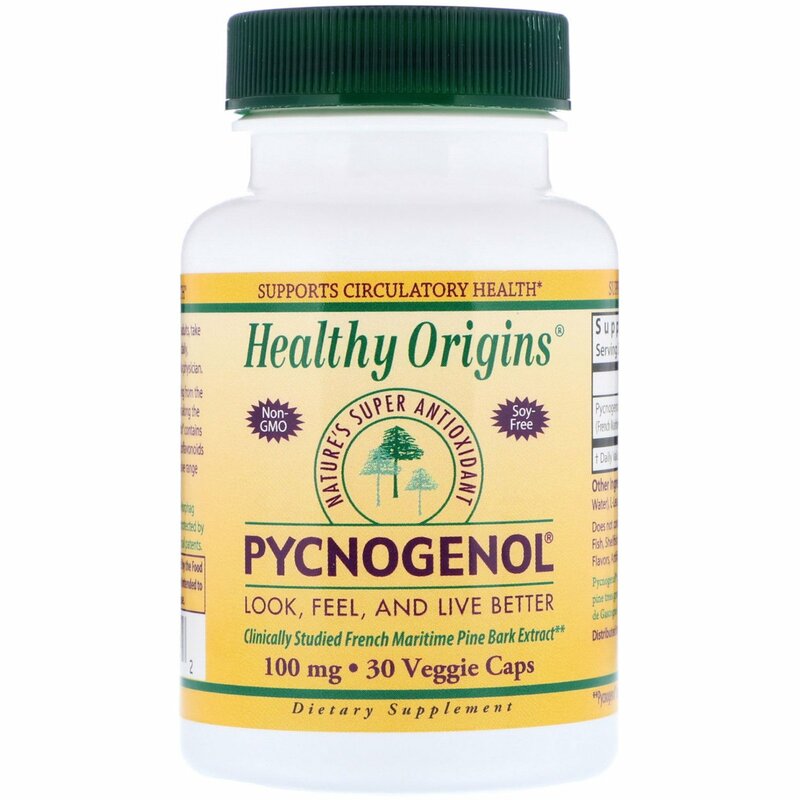 **Pycnogenol has been the subject of over 100 published clinical studies. As a dietary supplement for adults, take one (1) vegetable capsules once or twice daily, preferably with a meal, or as directed by a physician. Vegetable capsule (cellulose, water), l-leucine. Does not contain sugar, yeast, wheat, gluten, soy, fish, shellfish, peanuts, egg or milk. No artificial flavors, artificial colors or preservatives.